A sign for Queen America sits off of Sydney Marcus Boulevard. It’s been a busy month here in the Hollywood of the South. August brought us a bunch of television shows, but, as always, a few movies as well. Here’s our list of what productions we found and where we saw them. Netflix is producing a new science-fiction series, Raising Dion (production code: RD), based on the short film and comic by Dennis Liu. In the series, a widowed mother is attempting to raise the titular Dion, who begins to manifest superhero-like powers. The show stars Alisha Wainwright, Ja’Siah Young, Michael B. Jordan, and Jason Ritter. We saw Raising Dion end July in Chattahoochee Hills in Fairburn, where it would be for most of August as well. On August 7, signs were spotted in downtown Atlanta, along I-20 at Capitol Avenue. The next day, a scene was filmed at the Fox Theatre in Midtown. On the 14th, crews were back in Fairburn. They were also spotted working in the same area on August 19. Also new this month, Comedy Central is filming a pilot for a new show, Robbie (CP). The series, starring Rory Scovel and Beau Bridges, follows a Christian youth league basketball coach struggling under the weight of his much more successful father. Robbie filmed in Douglasville on August 7 and was spotted in northwest Atlanta on August 10. Another new production, Never Too Late (NTL), has been described as Mean Girls meets Golden Girls. It has mostly shot in in Duluth so far, spotted there on August 6, the 11th, and the 17th. Signs were placed at North Druid Hills Road and I-85 in Atlanta between August 24 and 26. A basecamp was spotted at Bridge Point Church nearby. Stranger Things (PCF7/MCFLY/1080/BLK45) continued to be the biggest project filming in Atlanta this August. The Netflix series ended July with signs up at EUE/Screen Gems on July 29. On August 1 and 2, crews were working near Chattahoochee Hills, toward Serenbe Farms. Filming moved out to Conyers on August 14, with a basecamp set up at Voices of Faith Ministries. On August 17, the production moved out to Tucker. The next week, on the 23rd, Stranger Things was in Palmetto. In the near future, the show will be back shooting ITP at South Bend Park. Facebook series Queen America (WTM) also shot into August as well. The Catherine Zeta-Jones-led project began this month with a basecamp next to Ray’s on the River on August 2. Crews then worked at Perimeter Center between August 7 and 10. During this time, additional scenes were shot in Lithonia on August 8 and in Midtown near Blake’s on the Park on the 9th. Filming took place in Conyers on the 15th. We spotted a basecamp in the Lindbergh area, at the Dump off of Sidney Marcus Boulevard, on August 17. Most recently, on the 23rd, the show worked out of Chamblee. Last month, we mentioned that the Melissa McCarthy comedy, Superintelligence (S&K), was going to end July with a baseball game scene involving the Seattle Mariners. They filmed that scene on July 27 at Turner Field Georgia State Stadium. In August, the film was spotted in Chattahoochee Hills on the 7th. On August 9, crews worked in Decatur. 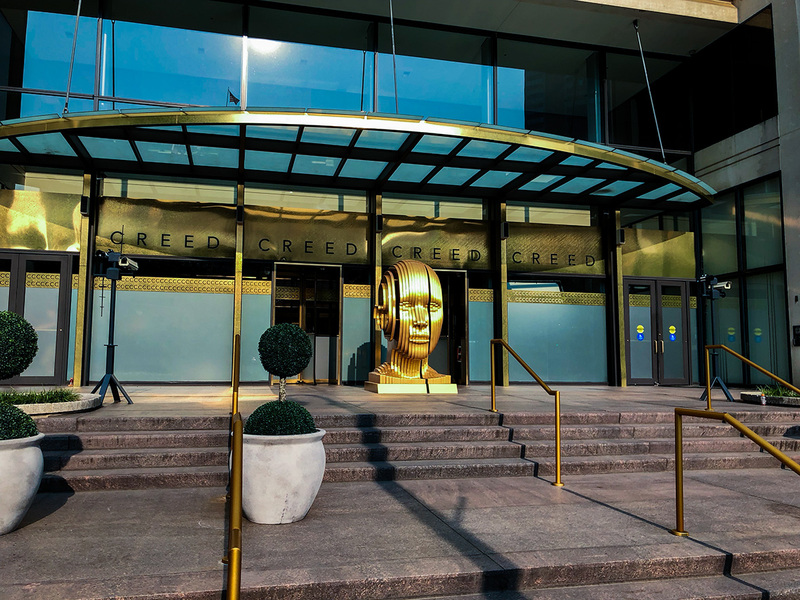 Between the 10th and the 13th, scenes were shot at Tower Place 100 in Buckhead. At the same time, additional filming took over a portion of Georgia Tech, staying there the entire week to turn it into Microsoft. Between August 22 and 23, additional signs were up in Buckhead, off of GA 400 and Lenox Road. Most recently, signs were spotted at I-85 and Jimmy Carter Boulevard on the 25th. Little (GED), another holdover from last month, set up near Bims Liquor in West Midtown between late July and early August. Signs were spotted nearby at I-75 and Northside Drive on the 1st and 2nd. The next day, crews were in Buckhead. On August 4, filming moved to Midtown. The latest CW-based vampire show, Legacies (TOGS/LGC), got its own code this month. It was spotted in Conyers on July 29 and on August 2. Between the 4th and the 6th, crews filmed at the Georgia International Horse Park. On August 14th, filming took place on the Covington square. The next day, crews were spotted in Walnut Grove. The fanfic-turned-novel-turned-film After (PSI), about a young girl’s whirlwind romance with Harry Stiles of One Direction a completely original, not-based-on Harry Stiles, character named Hardin Scott, continued shooting in August. 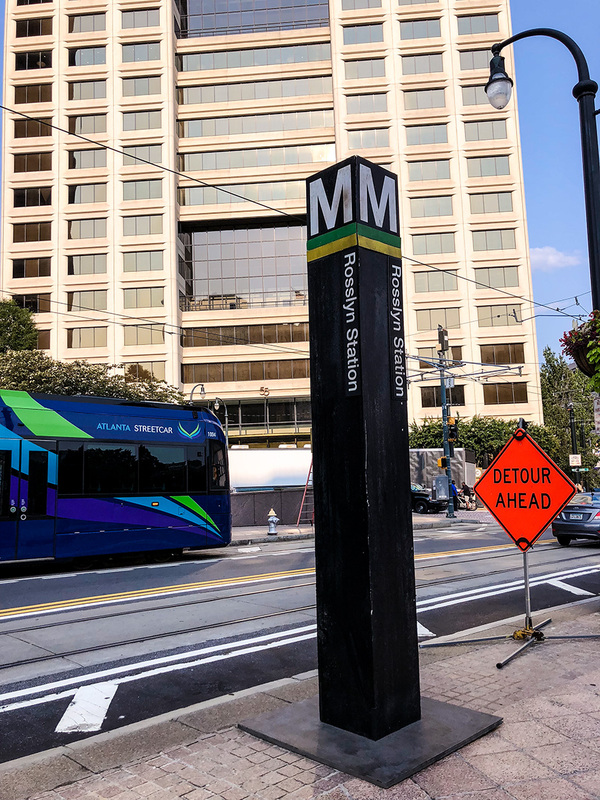 Signs were placed on Boulevard on August 12. Between the 14th and the 16th, the production was in Kirkwood. Crews moved to Emory’s Briarcliff campus on August 17. On the 24th, they were back in Kirkwood. 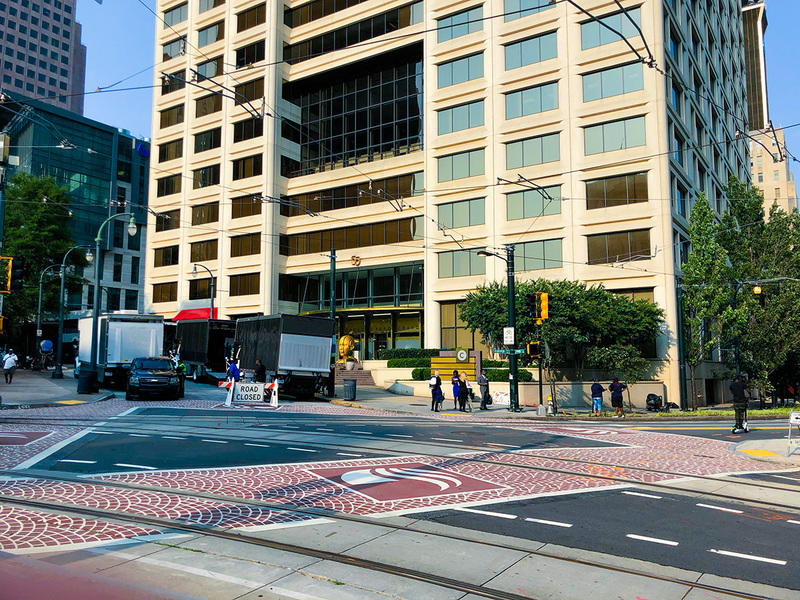 The CW’s Dynasty (CROSS EYE) filmed in Midtown on August 6. Three days later, on the 9th, crews were at Emory University Hospital Midtown. 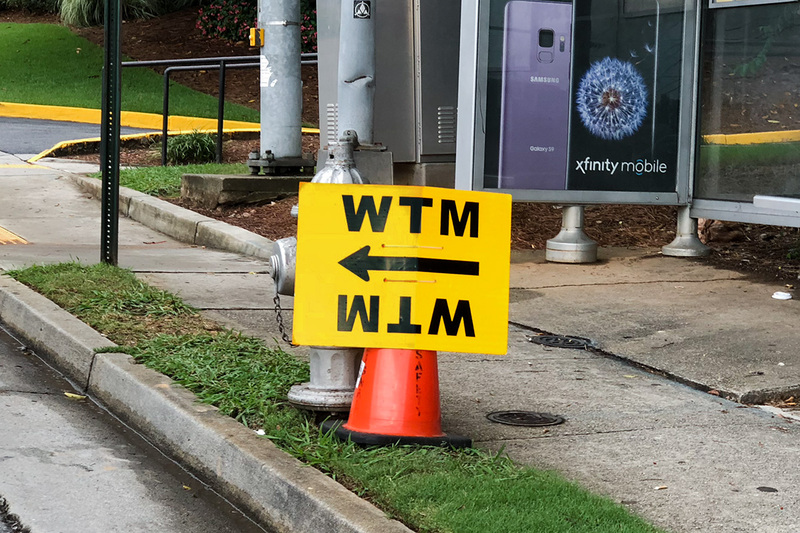 Between the 15th and the 16th, we saw filming in Marietta with a basecamp on Paper Mill Road. August 21 took the show to Suwanee. Most recently, filming took place near Gary Pirkle Park in Sugar Hill. MacGyver (EYE) started the month at Peachtree Center on August 6. On the 10th, scenes were shot at the old Piedmont Newnan Hospital. A basecamp was set up at Zion Hill Baptist Church on Campbellton Road on August 12. Four days later, on the 16th, filming took place in Kirkwood. Crews were in Fairburn on the 19th, and in the West End on August 21. 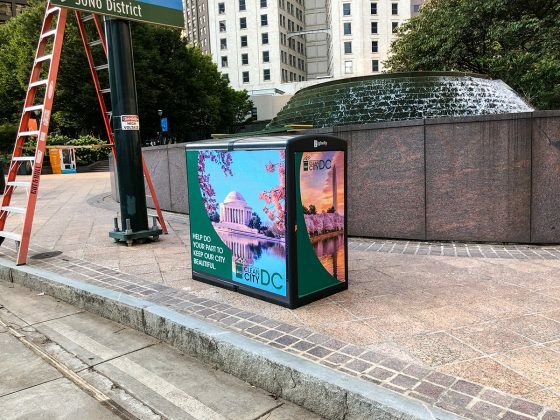 A D.C. Metro post was set up at Woodruff Park. The Resident films near Georgia State. FOX’s The Resident (TR) was in Conyers on the 6th. The series moved into downtown Atlanta on August 13, filming near Georgia State. Signs were spotted at I-85 and Clairmont Road on the 20th. The same day, filming was also taking place in Conyers. Between August 22 and 24, crews were in Midtown, shooting at the High Museum and One Midtown Plaza. Also this month we saw Tyson’s Run (FCE) in Stockbridge on August 11. FOX’s Star (SOS) was in Buckhead near Lenox Square on August 1. The show also shot near King Plow Arts Center on the 13th. Poms (SUN SPRINGS) ended July at Pullman Yard. It then moved back to the Infinite Energy Center, where it had previously filmed at last month. On August 2, the production was in McDonough. Signs were up again in the area on the 12th. The Gifted (HVN) shot at an abandoned hotel south of Hartsfield-Jackson Atlanta International Airport on August 5. On the 9th, crews filmed at Peachtree-DeKalb Airport. The show shot in Midtown between August 12 and 13. Also on the 13th, scenes were shot in College Park. And finally this month, eagle-eyed readers might have noticed that we’ve had a lot of television productions this August. That, coupled with articles saying Georgia is no longer number one in film production, might have you worried that Georgia is becoming less of a market for movies. Fear not, Georgia still has much to offer the film industry. Our tax credits are still some of the best in the nation, our crew base is constantly growing. We have some big projects coming down the pipe, including some Avengers 4 reshoots, several films from Universal and 20th Century Fox, and Doctor Sleep—the sequel novel to Stephen King’s The Shining. As we discussed with last year’s report, the FilmL.A. analysis cited for our slip into second place is often misinterpreted. It’s a metric that only uses the top 100 highest-performing films to show where they were made and how much they cost to make. This year, Georgia produced 15 of the top 100 domestic films and Canada produced 20. (Last year we made 17 to Canada’s 13.) According to the report, a few things are at play. Firstly, favorable exchange rates meant that Canada could give producers a better bang for their buck. Second, better tax credits for post-production and visual effects work, combined with the infrastructure to back it up, made Canada more attractive overall. Despite Canada’s advantages, our state’s output is still much higher on the whole. We’ve increased television production and have become a hub for commercials. Speaking of strictly movies, five of Canada’s 20 films in the report were animated features, something Georgia currently doesn’t have the infrastructure to compete with. But we produced the same number of live-action films. And while Canada’s 2017 productions included big films such as It, The Shape of Water, and Power Rangers, it also included more smaller, independent productions. Georgia’s list of offerings, which included Baby Driver, Guardians of the Galaxy Vol. 2, Spider-Man: Homecoming, and I, Tonya, had more big-budget and mainstream releases. Going forward, Georgia has also introduced post-production tax credits, which should help bring more productions to our state, and hopefully, increase our visual effects infrastructure as well, allowing more animated productions to be created here. As long as our tax credits are still competitive, Georgia’s industry will remain strong. And yes, some years we might not produce as many movies as our neighbor to the north, but we wouldn’t recommend applying for those work visas just yet.